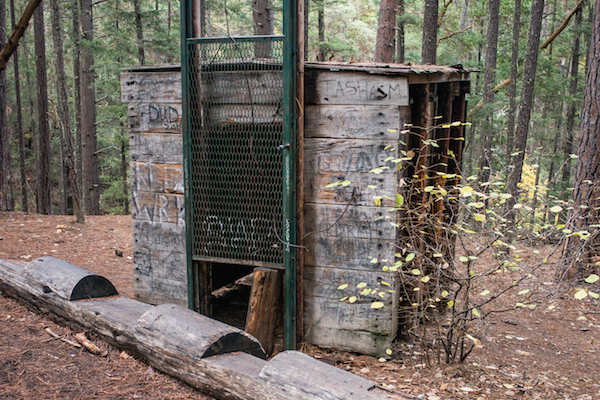 For more than forty years, a ten-by-ten-foot wooden box has been sitting deep in the heart of the Siskiyou National Forest, awaiting Sasquatch. Built in 1974 by members of the North American Wildlife Research Team, a government organization that no longer exists, the structure is known as the Bigfoot Trap. For six years, the structure was fully operational, and the team put small animals in the structure as bait. Perhaps Sasquatch is a vegetarian, as the baited box proved unsuccessful. The world’s only Bigfoot trap, however, did attract a few bears and has since become a popular tourist destination—a relic of a faded legend. 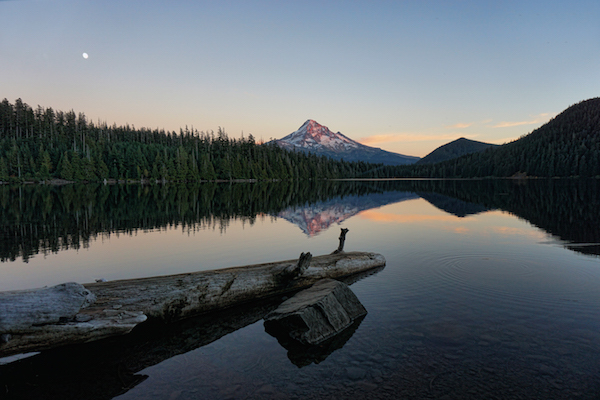 The U.S. Forest Service currently maintains the trap as a novelty. You’ll stumble on the trap if you head out on the Collings Mountain hiking trail. Dear Anonymous: The “Government” that you so gleefully mock did NOT build the Bigfoot Trap. The above article is in error, the result of a sloppy writer… and I know that as someone who knows the history of the trap quite well… Nor did the government “maintain, bait and monitor it for 6 years.” That was all done by private individuals. The US Forest Service, upon request by these private citizens, simply permitted them to build the thing in federal land. Government-built, huh? Wonder how many millions of dollars in taxpayer fund THAT cost us? Quite a few, I’m guessing, quite few. And they maintained, baited and monitored it it for 6 years? Oh, yeah; several million AT LEAST, easy. 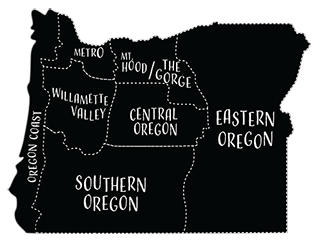 The Bigfoot trap is located in the Applegate Ranger District of what used to be the Rogue River National Forest and is now the Rogue-Siskiyou ( I think that's the correct name). It's an interesting novelty.